Low profile brushed twill cotton cap in black with white pipin. 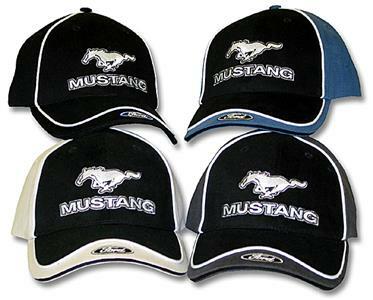 The word "Mustang" and the Mustang emblem are embroidered on the front, and the Ford oval is embroidered on the peak. Features velcro adjustment to fit almost all heads!